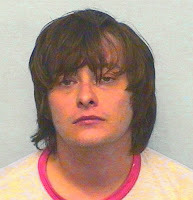 Edward Furlong, star of Terminator 2 and not much else, was arrested at LAX on Tuesday October 30th for domestic violence. This isn’t his first offence. He’s been arrested for felony domestic violence against his now estranged wife. And, for violating the restraining order his estranged wife took out against him. Furlong has a long history of drug and alcohol abuse, which has also involved multiple counts of violence against women. Yet another Hollywood man for the #DickheadDetox.